Read Pella Impervia reviews from past consumers, homeowners, contractors and industry experts on these popular fiberglass windows. For additional information on this frame material, please check out our fiberglass window reviews page to compare and contrast all models and options. The Pella Impervia is the company’s fiberglass window that is definitely one of the best known fiberglass models on the market. One of the prime reasons (besides Pella being a large and well known manufacturer) is its inclusion in the Consumer Reports best windows list of 2014, as well as 2013 and 2012. In years past, the CR fiberglass window category has has only one window, the Impervia, which doesn’t really tell the consumer how the window stacks up against its competition. This year thankfully they decided to include the Marvin Integrity window. The Impervia scores lower than the Integrity (59 compared to 65 out of 100), but is also less expensive ($390 compared to $450). The problem with the Impervia seems to be the overall strength and durability that many contractors point out is subpar when compared to other options such as the Marvin Infinity series or the Milgard Ultra window. It’s not to say the Impervia is a bad fiberglass window, only that for the same price there are probably better options for the consumer that will offer better long term value and performance. I currently have the Pella Impervia on the back part of my house and the Sunrise Restorations on the font. The Restorations look much nicer and have more features on them – I would have put the Restorations throughout the entire house except there wasn’t alot of color choices, whereas the Impervia had a brown interior and exterior finish color. I’m happy with both options, they don’t leak and they do a great job. I personally don’t like the look of the Impervia, it’s just ugly and it has fairly weak numbers as well. I’m not sure why anyone actually buys it. It’s basically the bottom of the barrel in terms of fibergalss. Why would anyone buy it when they could get a top end vinyl window for not much more that would blow the doors off the Impervia from the performance standpoint. I went out and checked out the Pella Impervia and I didn’t like the look of them. I will say that the casement was much nicer then the double hung option. When the DHs are closed there is a rubber gasket weatherstripping that runs along the top sash that is straight out ugly (in my opinion). I pointed it out and the rep agreed, saying they have gotten this comment before and recommended painting it. I found a neighbor in my area who had them and spoke with him about the Impervia and he said that it sticks on the weatherstripping when they try to open them. They asked the Pella installers to replace them but the company has dragged their feet on coming back out. He said he spoke with the salesperson, who doesn’t seem very motivated to fix the problem now that the sale is done. I’m now considering the Marvin Integrity, which seems to be a replacement only and thus much less expensive. I like the look of this window and the fact that you an get an all fiberglass or a fiberglass outside, wood inside option. The following is Consumer Reports grade on the Pella Impervia. Please note that our editor staff does not find the CR findings to be particularly impressive. 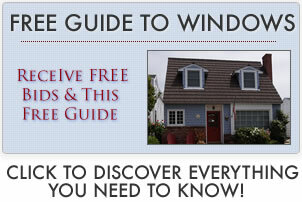 Click to find out selections for best vinyl window.